According to the North Carolina Department of Health and Human Services, there are 248 people in 6 states sickened with a “diarrheal illness” after eating at the Tarheel Q restaurant in Lexington, North Carolina. Those symptoms are consistent with a Salmonella infection. This data is current as of July 1, 2015. Most of those sickened live in Davidson and Davie counties. 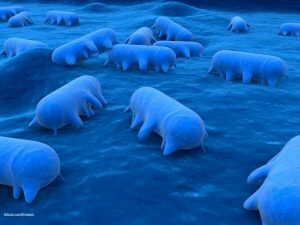 Lab testing indicates that a BBQ sample and a sample from a patient who got sick at the beginning of this outbreak are both positive for Salmonella Typhimurium. Both samples have the same PFGE pattern. More than 50 additional clinical specimens are at the state lab, waiting results. The food that contained the bacteria may have been improperly cooked, may have been contaminated after cooking through cross-contamination, or may have been held at the wrong temperature for a period of hours, which allows bacteria to grow. There is no more information about the “BBQ sample” from officials. Of the 248 sickened, 55% are male, 41% are between the ages of 20 and 49; 20% have visited a doctor. Thirteen percent have visited a hospital emergency room, and 6% have been hospitalized. One person has died. More details about the person who died are not being released to protect patient confidentiality. Seventy-nine percent of cases had illness onset dates between Tuesday, June 16, 2015, and Sunday, June 21, 2015. Symptoms of a Salmonella infection include diarrhea, fever, and abdominal cramps. Most illnesses begin 12 to 72 hours after exposure to the pathogenic bacteria. the illness usually lasts about a week. Some people become so ill they must be hospitalized. It is important that you do see a doctor, because the long term complications of a Salmonella infection can be severe, including arthritis and heart problems. If you have experienced these symptoms and ate at the Tarheel Q restaurant on Highway 64 in Lexington, North Carolina, see your doctor. Public health officials are also asking that anyone who got sick call the Davidson County Health Department’s hotline at 336-242-2300.